SINGAPORE: Singapore-listed property firm City Developments Limited (CDL), through its subsidiary Reselton Properties Limited, has entered into a contract to acquire the £158 million (S$334.96 million) freehold Stag Brewery land site in Mortlake, southwest London. In a news release on Thursday (Nov 26), CDL said completion of the acquisition is expected to be finalised by the first week of December. Stag Brewery is owned by AB InBev, which produces beer for brands including Stella Artois and Hoegaarden. The site is located beside the River Thames and 200 metres from the rapid overland train link to Central London’s mainline station, Waterloo. CDL said the 89,031-square-metre site offers potential for redevelopment. 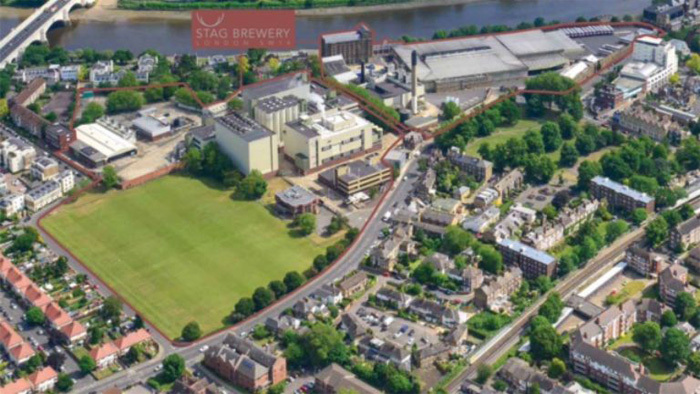 Reselton will begin the planning and consultation process for the redevelopment of the Stag Brewery site in early 2016. Planning approval is expected to be granted in the first quarter of 2018, and undertaken in two phases. CDL’s acquisition of the Stag Brewery land site comes on the back of the completion of its £85 million purchase of the Teddington Studios land site in London. With this latest acquisition, CDL has invested a total of £411 million in eight prime freehold properties in the UK.